Christian Brands has acquired the R.J. Toomey Company of Worcester, Massachusetts. R.J. Toomey is the oldest and best-known clerical apparel company in the United States, manufacturing clergy shirts, tailored clergy apparel and altar-server attire. Christian Brands has acquired a number of companies of late, including Robert Smith (furniture), Will & Baumer (candles), Creed (jewelry), Heartfelt (wall art) and Gerffert (art masterpieces). The distribution, importing and manufacturing firm sells products in these brands to an assortment of channels in the Christian and general markets with a special emphasis in church supplies. Headquartered in Phoenix, Christian Brands has manufacturing facilities, a call center and a distribution center in Lewisburg; Tennessee. 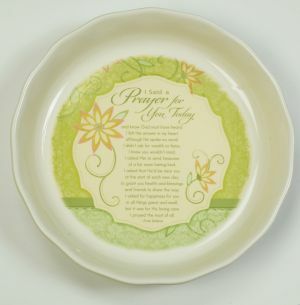 Abbey Press has introduced three new products to its collection of gifts featuring the best-selling “I Said a Prayer for You Today” verse. The popular sentiment by Frank Zamboni has been a consistent presence in the Abbey Press product line for more than 30 years. 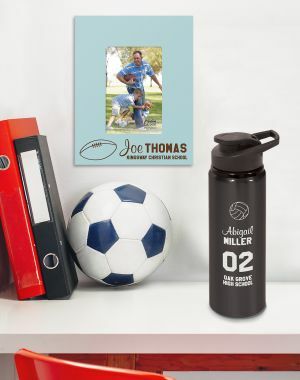 It has been featured on a range of products, including mugs, prints, plaques and cards. Students soon will be headed back to school (BTS), and more than one-third (37%) of consumers already have begun their BTS shopping—up from the 29% who started at this time last year. Roughly 90% of households indicated a selection of brick-and-mortar retail as a shopping venue for the BTS season, according to a new International Council of Shopping Centers (ICSC)-Goldman Sachs survey conducted this month by Opinion Research Corp.
Consumers will shop in a variety of places for their BTS items this year. While discounters are still expected to be the winners, the number of households selecting this shopping venue dropped from 90% last year to 80% this year. For all 2014 BTS shopping venues, discounters represented a 23.7% share of where consumers will shop. Many retailers in regional malls and open-air centers should see increased activity during this season. 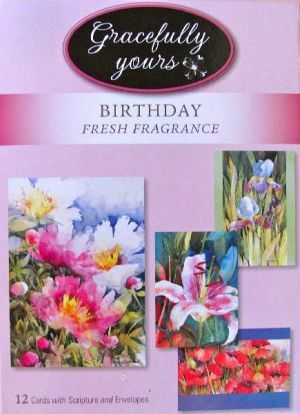 Colorado-based greeting card and journal publisher Gracefully Yours has surpassed 100 million consumers sending and receiving the company’s fine art products. “We have been blessed by God with 50 great artists and some of our industry's best card writers,” said Carla Tocquigny, co-founder of Gracefully Yours (Gracefully-yours.com), now in its fifth year. 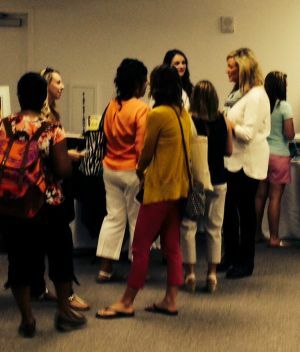 CPE at AmericasMart offered Christian retailers a place to gather at the summer’s major gift show, the Atlanta International Gift & Home Furnishings Market, held July 8-15. A one-day event sponsored by Munce Group but open to all retailers, CPE at AmericasMart was held in Atlanta for the second time this year. The Jan. 8 CPE was held on a Wednesday, but the event was moved to a Saturday to take advantage of greater mart traffic for the July 12 CPE. California-based Scents of the Spirit by Ego Eimi offers two different fragrances. Each is accompanied by a Scripture verse that corresponds with its name: Hopeful (Ps. 37:4-5) and Renewed (Is. 40:30-31). 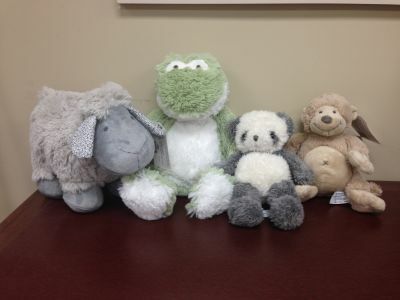 Laci Corzo is founder of the company located in Chino, California. The fragrance line is designed to uplift women as it reminds them of God’s promises and promotes positive thinking. 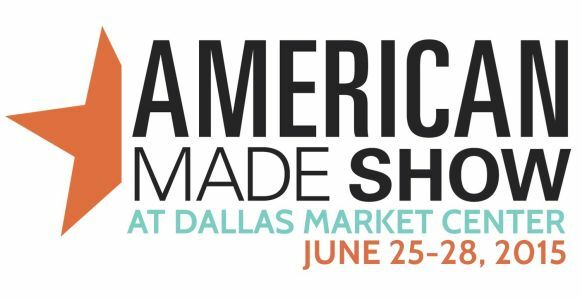 Dallas Market Center and the producers of the American Made Show announced Wednesday their plans for the American Made Show to debut in Dallas as part of the Total Home & Gift Market. The American Made Show will be held June 25-28, 2015 as part of Dallas’ summer market, June 24-30, 2015. Ohio-based P. Graham Dunn has added 600 square feet to its AmericasMart Atlanta showroom ahead of the July 8-15 Atlanta International Gift & Home Furnishings Market.